Episode 16 – Ron Frenz (Part 1) – All of My Issues! 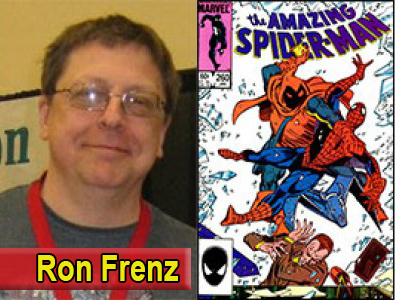 In this episode, we had the chance to talk with legendary comic artist, Ron Frenz. This guy has a super impressive list of credentials. Throughout his career, he has worked on some of the biggest titles in comics. Spider-man, Thor, Superman just to name a few. He is also credited as being the first person to draw Spider-man in his black costume. His run on the Thor lasted from 1986-1993. He helped create the New Warriors and co-created Spider-girl. His current project involves working with TV sitcom writer Darin Henry (Seinfeld, The Ellen Show). The new comic universe they are brining to life is called Sitcomics. The name of the hero that they are introducing is known as the Blue Baron. If you love his artwork like we do, why not get something commissioned from Ron Frenz. You can contact him from here.